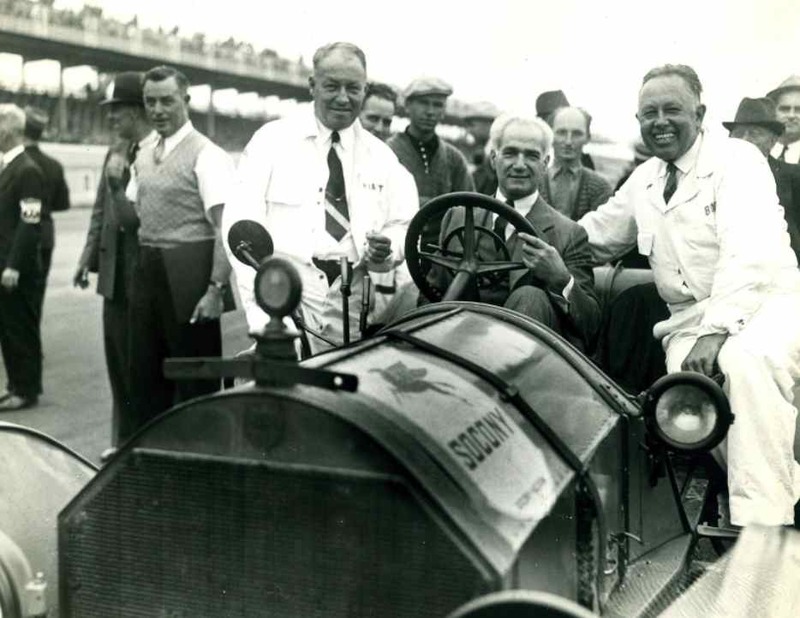 George Robertson on the left, Ralph DePalma in the center and Ralph Mulford on the right are shown at the 1936 Vanderbilt Cup race on Long Island. The car is a 1914 Mercer Raceabout which evidently was owned by Socony in the thirties. We have seen it here on these pages before in a PR event in NYC with Barney Oldfield. The car has survived and today is beautifully restored. This entry was posted in Auto photos 1885 - 1920, Auto Racing 1894 - 1942 and tagged Mercer, Vanderbilt Cup.